At a foundational level, when you sell/lease a property to a tenant via the lease option method, you are essentially renting the property at an agreed upon amount, with an option for the tenant to buy at an agreed upon price at some point in the future. 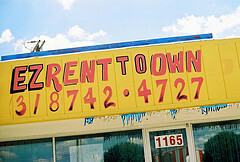 If you’re familiar with the rent-to-own industry, you understand how the process works. But here’s the kicker. The tenant pays an amount of money up front, known as consideration, which might be several thousand dollars, in return for the right to purchase outright in the future. For a tenant (who hopes to be a buyer one day), the lease option allows time to get financing together or repair bad credit. It’s really a win-win situation for both sides, though we’re focusing primarily on the seller here. The next question becomes, “What happens if the seller can’t follow through with the purchase at the appointed time?” No worries. This actually happens quite often. On the whole, many more lease options expire than are ever exercised. The good news is that the seller can then turn around and enter another lease option arrangement with another buyer (or even the same buyer), collecting another payment for consideration in the process. See the beauty here? Theoretically, you could continue to collect consideration payments over and over as long as there was interest in the property. Sure, there’s the chance someone might eventually be able to buy you out but that’s not a bad thing, is it? The bottom line is this: even if the very first lease option you ever sell is exercised by the tenant at the appointed time, you still got money up front, and up front money is never a bad thing.